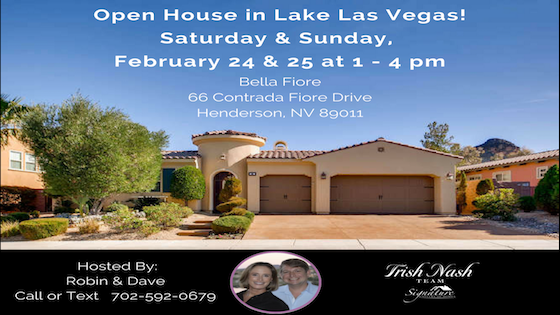 OPEN HOUSE Saturday & Sunday in Beautiful Lake Las Vegas!! We look forward to seeing you at ….. the Gated Bella Fiore Community, 66 Contrada Fiore Drive! This is a 2 for 1 opportunity –– you get a beautiful home….and you also have access to all the Lake Las Vegas amenities and the beautiful Lake Las Vegas lifestyle! Take a ride and see for yourself! !